Originally published July 7, 2016 at 12:21 p.m., updated July 7, 2016 at 12:21 p.m.
San Diego  When producers of the popular ABC TV show “Shark Tank” last came through San Diego County to audition potential entrepreneurs in 2014 — at Southwestern College in National City — more than 150 locals showed up to make their pitch. Far fewer eventually made it through to the actual TV show, where a panel of five established investment moguls has either taken a bite of — or chewed up and spit out — the product ideas of hundreds of would-be Thomas Edisons, Steve Jobses and Ron Popeils during the past seven years. Product: Custom deck of playing cards that can be shuffled to create a variety of exercise workouts. What happened on TV: All sharks rejected pitch for $300,000 in exchange for 20 percent of the company in 2014. 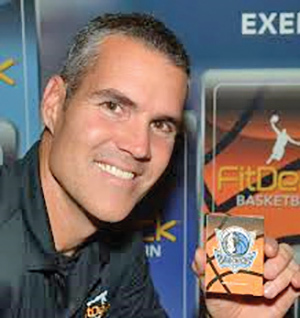 What happened next: Former Navy SEAL Black reported that shark Mark Cuban, billionaire owner of the NBA’s Dallas Mavericks, later agreed to a private deal for FitDeck to produce branded basketball card decks. 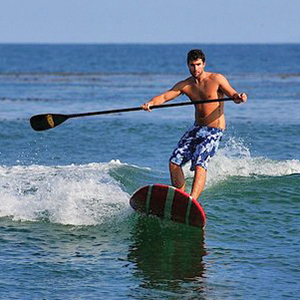 Company has since sold decks for golfers, seniors, kids, pregnant women and other specialized segments. Headquarters: San Diego and Tucson, Ariz. Product: Internet and app-based radio station. What happened on TV: No sharks came through on the CEO’s 2014 quest for $75,000 in exchange for a 10 percent equity stake, despite an assist in his on-air pitch from singer Brian McKnight. What happened on TV: Shark Mark Cuban agreed in 2011 to invest $150,000 in the company for 30 percent of equity. What happened next: Aarstol reported that revenue reached $7 million in 2015 and is on track to reach $10 million in 2016. What happened on TV: Shark Robert Herjavec, a venture capitalist who also owns a Canadian technology firm, invested $100,000 for a 10 percent stake in 2013. What happened on TV: In 2012, after a pitch from company founder Robert Dyer, a decorated U.S. Marine major, sharks Kevin O’Leary and Robert Herjavec agreed to invest $150,000 in exchange for 20 percent of the company; later revised to an $80,000 loan while taking no equity. What happened next: Company repaid loan and reports recent annual sales of between $350,000 and $450,000. Projects $1.2 million in sales by the end of 2017.